Regmi, P. and Aryal, N., 2016. 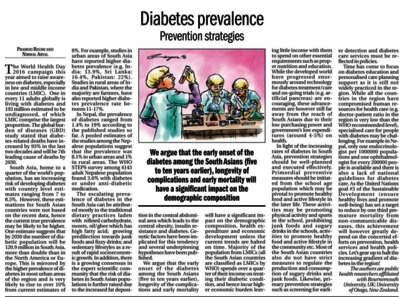 Diabetes prevalence: Prevention strategies. 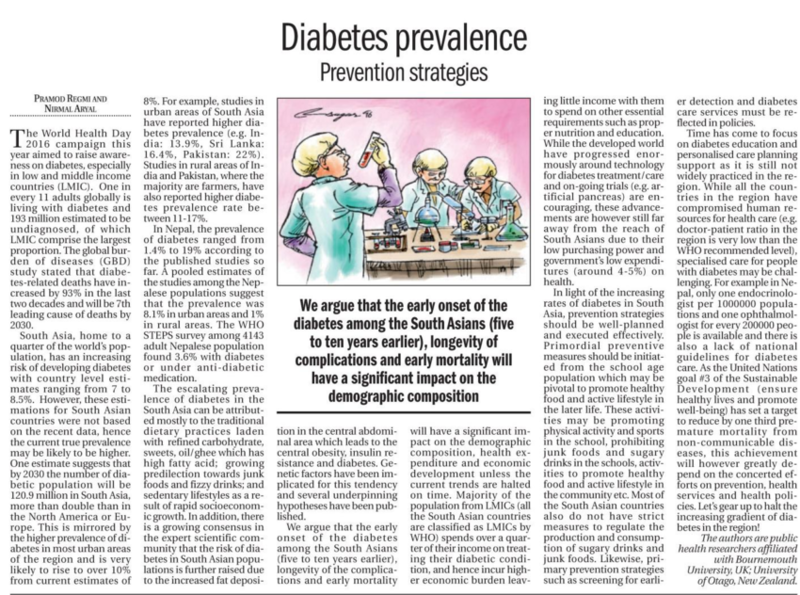 The Himalayan Times.